Electrified guitars certainly existed before the Fender Telecaster did. Mostly those guitars were arch tops with a pickup installed aftermarket. Leo Fender was a go to guy for repairing those pickups. 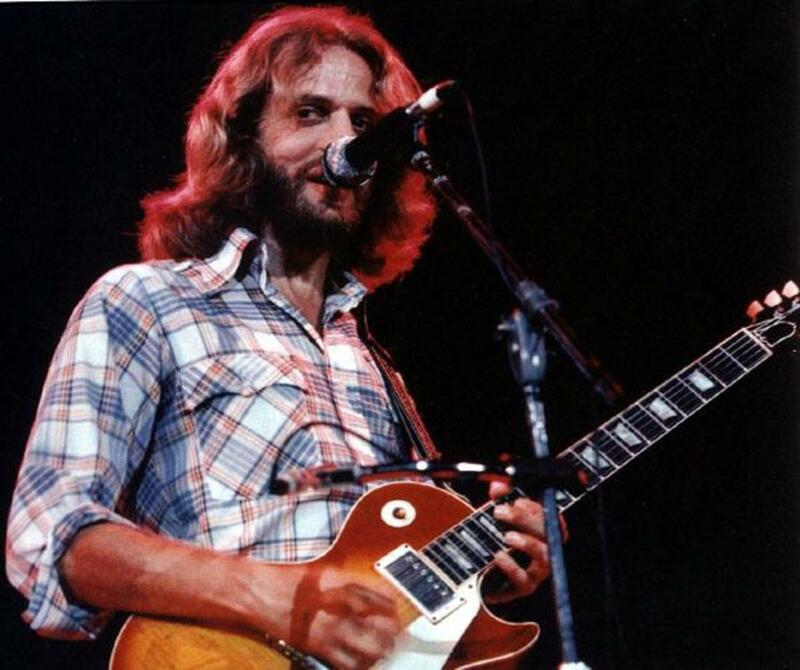 Leo had already been involved with making lap steel or 'Hawaiian' guitars, and those are of a solid body, so he surely saw how a solid body electric guitar could be a successful product. There were others who had the same vision, but they didn't see it so clearly as did Leo. Mr. Fender's guitar was the first successful solid body electric. The Telecaster is still just as valid all these decades later. It's also still just as desirable. There aren't that many products that can be built exactly as they were in the early 1950s which are still just as useful and desirable today as they were then. As long in the tooth as is the Telecaster, there are guitars and guitar products decades older which are still made the same way today. Sometimes a thing is just done so right the first go round there is little of it which could be improved upon. Such a thing is the Gibson P-90 style of pickup. Gibson was a major musical instrument manufacturer long before the second world war started. During the war, however, production at Gibson was ground to a halt. There were more important things to be attended to in the world of manufacturing then. In 1946 Gibson started cranking out musical instruments again. They also patented a brand new pickup for their guitars. The P-90 was born, the USA was on top of the world, and a new era was upon us all. Only eleven years after the birth of the P-90, the pup was replaced by the PAF as Gibson's flagship pickup. The thing was, nobody was tired of the P-90, and it was never put out to pasture. Its ability to bridge the tonal gap between the humbucker and the single coil, and its edgy, raw growl kept it in demand. The P-90 is a pretty good do-all pickup. Roll down the tone for jazz, turn it back up for blues, turn up the amp for some of the best rock n' roll tones you'll ever hear. Put them in guitars with Fender scale length and alder or ash bodies, and you can make them twang and growl. The entire Fender Modern Player line of instruments are something to be thankful for. These are very high quality guitars sold for prices you can't reasonably ever complain about. These are examples of big corporations doing everything they can to make products accessible for the working poor. 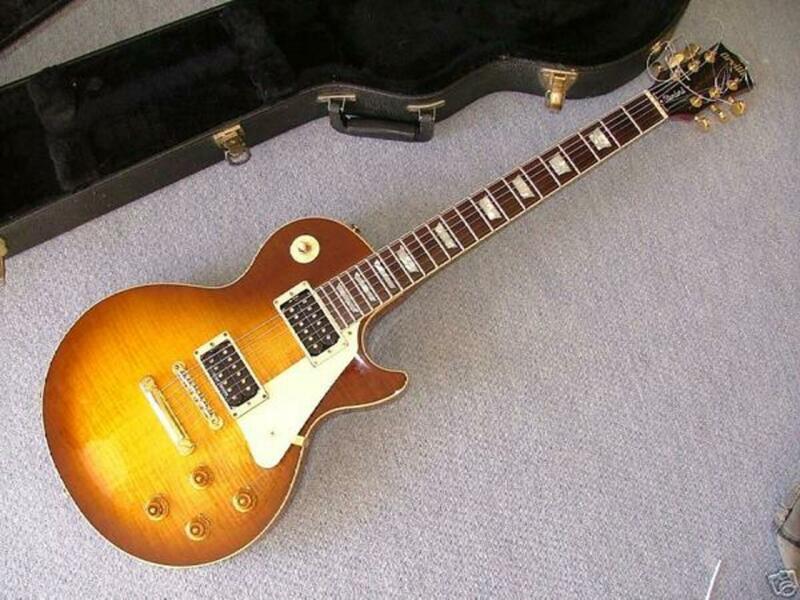 This is a stunning guitar to sell for under five hundred dollars. The semi-hollow body, or 'thinline' design makes this a very lightweight electric guitar. The P-90s and the body allow for it to have a very wide range of tones to play through. Work the tone and volume controls to simulate an acoustic guitar, and then dial them up for electric crunch. Gibson style control layouts on Telecaster guitars have been around since the early 1970s. This is what we have going on here, with the Modern Player's pickup selector switch, and its two volume and two tone controls. The bridge is straight Stratocaster, but not a tremolo. This is the same Strat bridge you get on a hard-tail Strat. Synthetic bone is a great material for nuts, and that is what is evident here. If you've ever took a file to Fender's synthetic bone, you know it is as dense a material as actual bone, but possibly more consistent. The frets are Fender's well loved medium jumbos. The neck is the very familiar Fender 'C' shape. I'm a guy who at present has a very low income. I used to be able to spend thousands on a guitar, but there is no way I could do so now. Well, the beauty of manufacturing things over-seas is a company like Fender can do so, and sell something this damned good for around one third of what a US built guitar like it would cost. It is time we talk about tonewoods for a moment. Many people believe that with solid body electric guitars tonewoods do not matter. What I mean by this is some believe it makes no difference at all what woods the body or the neck or fretboard are of, because with a solid body, what makes the tone is the length of scale, and the electronics. I'm of a very different persuasion in all of this. What matters here is we're not talking about solid body electric guitars. 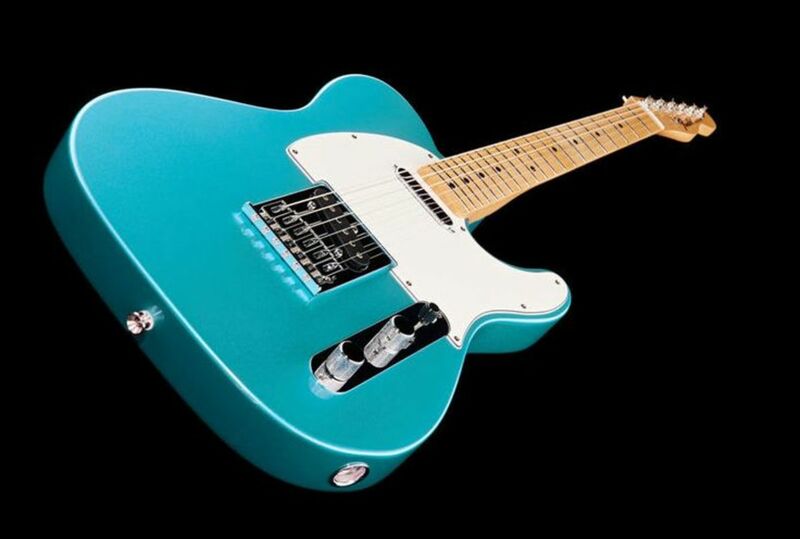 A thinline Telecaster is a semi-hollow body electric guitar. Even the most person would simply have to admit that with a thinline the tonewoods absolutely make a difference. No one argues that tonewoods are meaningless in an acoustic guitar. At least no one sane or with the gift of hearing. The Jim Adkins JA-90 and the Modern Player Thinline up above are both semi-hollow body guitars. The top will resonate some when the guitar is played. These two guitars will sound differently because their bodies are of different woods. The Modern Player Thinline is a mahogany body. The Jim Adkins guitar is of an ash body. How much difference in tone you'd hear between them would have to do with how good your ears are at their jobs, and how much you've refined them to the best of your ability. The Jim Adkins guitar is a few hundred dollars more than the Modern Player Thinline. There are other differences besides the tonewood the body is constructed from. The bridge and tail-piece stand out here for being in the style of Gibson. The guitar is also offered in a red finish, but it isn't offered with a maple fingerboard. The JA-90 Thinline is equipped with Seymour Duncan P-90 pickups. It is a Fender Artists Series guitar, and so the Duncans are there because that is what Jim Adkins wanted. The Modern Player guitar has Fender's in house P-90s. There isn't really much difference between the two, but absolutely no one frowns on Seymour Duncan products. Now here we have a truly fine thing. A limited edition tele with an exotic wood top. The blackwood from Malaysia certainly provides a fine and distinguishing look to this guitar. Does the blackwood affect the tone? Fender says the blackwood adds sustain. It's a top only. Our body here is of alder, as many Fender guitars are. The blackwood top on this guitar serves for a terrific and unique visual aesthetic. It's quite a looker. 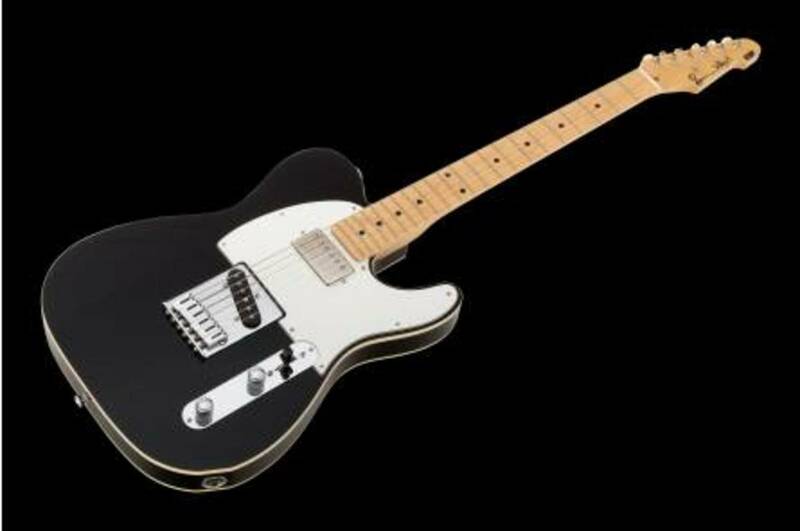 This limited edition tele costs four times the Modern Player's price, and more than twice the Jim Adkins tele's price. This is a solid body guitar, though, so it should have a brighter tonal character than the other two. Our neck for this guitar is a 'deep C' shape. It's a meatier neck than standard 'C' shapes. Take a close look at the string-through bridge and it's three brass saddles, and you'll note it is a short cut design. There is simply a bit less metal there than one usually sees on a Telecaster bridge. Our controls here are what we'd think of as traditional plus. There are the one volume and one tone control, but there is a treble bleed circuit added in. The switching is standard. See that pick-guard? It is 1-ply anodized aluminum, and the neck plate makes certain, via some engraving, that you've not forgotten the guitar you're holding is a limited edition model. Lots of guitarists are all out gear nuts. They gaze over and mull over the specifications of instruments, weighing the pros and cons, and thinking about what's best for the money. That is certainly what I do. 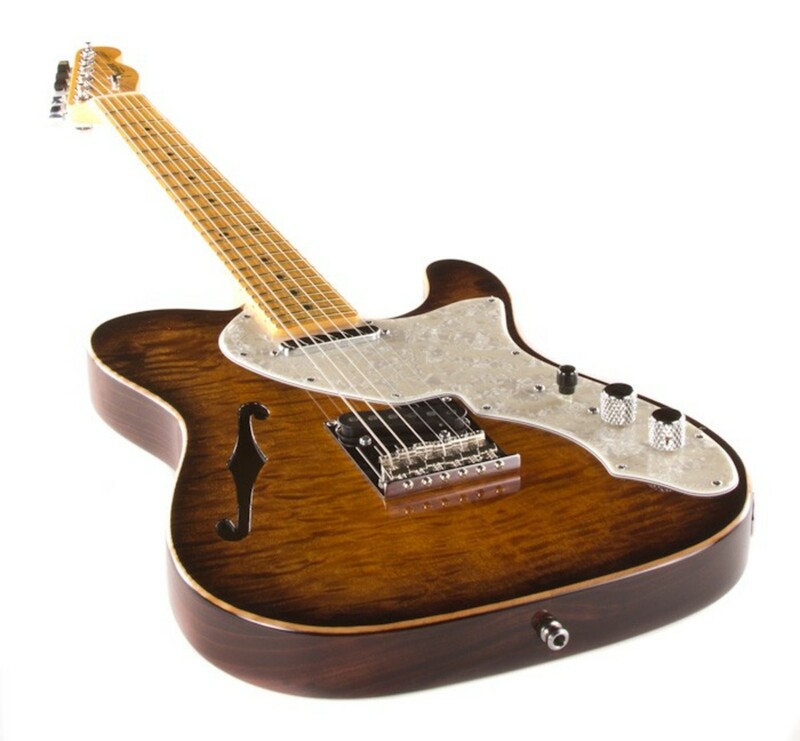 The Modern Player tele is out and out my favorite here, and this is because it offers so much for so little. It is amazing how good a guitar you can get for five hundred dollars these days. You simply have to ignore the people who disagree with imports from Asia. The Jim Adkins guitar is also of Asian make, but I do not think it as great a deal, as it cost around three hundred and fifty bucks more than the Modern Player, but doesn't offer that amount more in value. Clearly, this is my opinion only. If the ash body, Seymour Duncan pickups, and Tune-O-Matic and stop-bar style bridge and tail piece make the difference up for you, then that's the way to go. 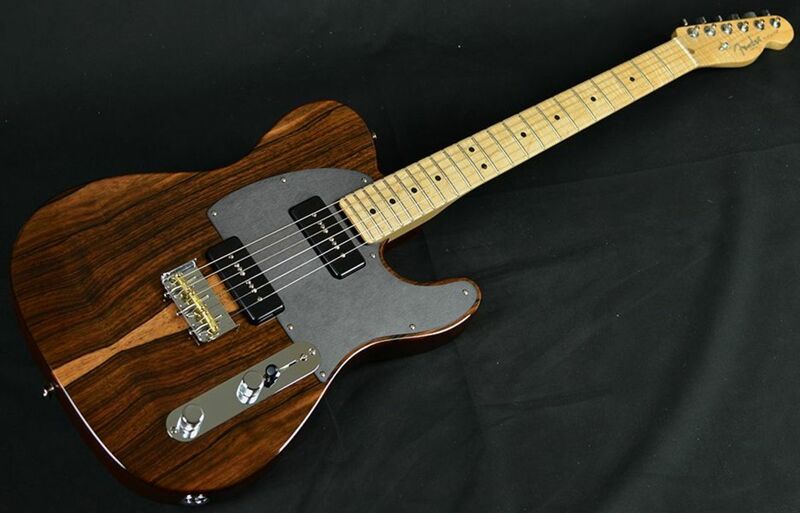 The Malaysian Blackwood Telecaster is a stunner. It's the kind of guitar that you cause your friends to drool over, and covet. For roughly two thousand dollars it's somewhat of a bargain. As a solid body, with the influence of the top, and the P-90s, it's going to have lots of tele bite, and some bark and growl too. There aren't any losers here. Thanks for reading. I have a P-90 Tele..love it.